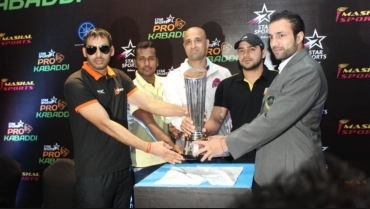 THE DECESION TO MAKE Star Sports Pro Kabaddi League (PKL) a biennial affair from this year received a big thumbs up from the players who feel the sport will receive a big boost. 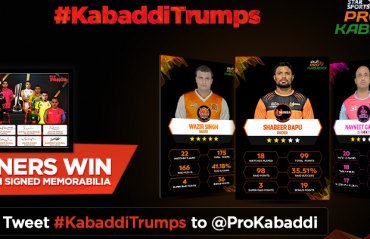 DEFENDING CHAMPION U Mumba will kick-start their campaign against hosts Telugu Titans in the opening match of the Pro Kabaddi season 3 at the Gachibowli Indoor Stadium in Hyderabad on January 30. NITIN TOMAR remained as the most expensive buy as franchises drew curtains over the second and the final day of Pro Kabaddi League 2017 players’ auction. Pro Kabaddi League Season 2 Roundup – Of Thigh Fives and Pangas! 8 HEAVYWEIGHTS, 60 MATCHES, 37 days of non-stop entertainment, endless #ThighFives and gruesome #Pangas. 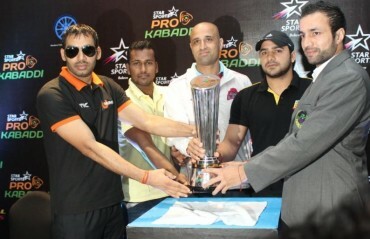 The second edition of the Star Sports Pro Kabaddi League turned out be an affair to remember, one that was packed with intense action, nail-biting moments and unpredictable results. PATNA PIRATES EDGED defending champions Jaipur Pink Panthers to win the do-or-die encounter 26-24. The result also pushed the Panthers out of contention for the play-offs paving the way for the League's last semi-finalists this season. Patna Pirates finished with 42 points while Jaipur, finished finally with 36 points. 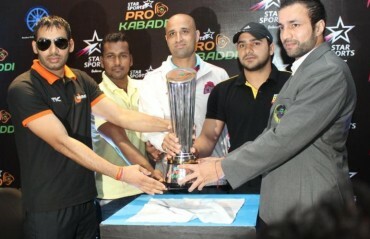 THE PRO KABADDI SEASON 2 has caught on like wildfire and is in full swing across cities in India. This year, the tournament has seen a sizeable increase in the number of fans and support from various sections of the society. BETTER PLANNING AND PERFECT EXECUTION of their planned strategy gave Jaipur Pink Panthers a well-deserved 27-25 victory over hosts Bengaluru Bulls at the Kanteerava Stadium on 13th August.